- It seems Tiwa Savage and husband Tee Billz are back together! Yes! Tiwa Savage and her husband Tee Billz had issues with their marriage and when many thought they can never come back together as a couple again, the couple comes out stronger. Both Tiwa and Tee Billz were looking happy as they took photo with the new couple. The Mavin Records first lady got married to her talent hunt and manager husband Tee Billz on April 26, 2014 in Dubai. They had their son in July, 2015. 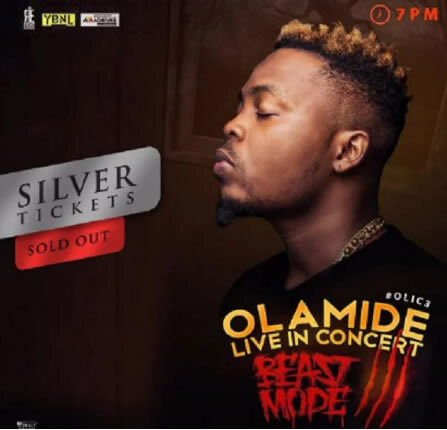 OLIC3 happened on the night of December 26, a day after Christmas. The show was one of the most anticipated show of the year. It was shown in its attendance as reports say the whole of the road leading to the venue was blocked. Yesterday was OLIC, I never thought I’d say this, but it was zero. Security was zero; organization was zero as well. Firstly, porous security. 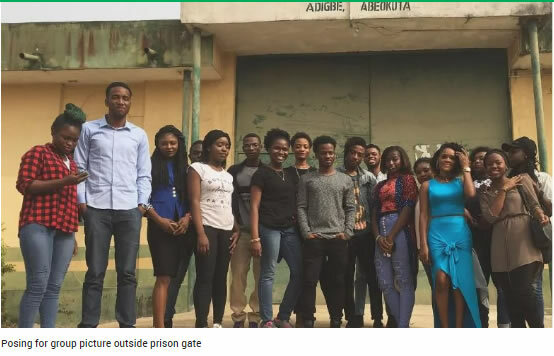 Anyone, I mean anyone, could literally walk through the gates of Eko hotel. I swear, I didn’t sight one metal detector. People walked in and out as they liked. I’m sure every Nigerian right now is 150% aware of terrorist attacks and the need for security to be tops at all times especially at social gatherings. Some people said there were dogs. Excuse you, someone could walk in and just start shooting and these people won’t have cared if they died! Security is major key. Anything could’ve happened TBH. Then to the ‘disorganization’. A lot of people didn’t have tickets; it was no one’s fault. A lot of people ended up getting regular tickets for 15k or more, and VIP for about 30k or 40k – also no one’s fault. After getting tickets the next thing is to queue up to get tags to get in, and trust me the queue was long ASF. After a while, at about 10 or 11 p.m, they said tags were finished but we needed to hold on a little because they went to get more. From 11 p.m to 2 a.m a lot of people were outside waiting for tags. These people had tickets but were deprived of what they had paid for, because of the inability for the organizers of OLIC to be effective. It’s just like going to the cinema and more tickets are sold than the number of seats. How dumb can that be? What stopped them from producing tags equivalent to the number of tickets they sold? Eventually people got really angry. A concert slated for 7 p.m and they were left out till 2 a.m! The guys at the gate, bouncers or whoever, weren’t even making situations better. They were so rude, saying stuff like they don’t know why we were still waiting that the tags were finished, and there’s no space in the hall anymore. There were no fights but they released tear gas on us and used tasers on a few people. No like FML despite this economic hassle going on. People went out of their way to be there for the concert and this is what they get??? You think it’s so easy to hustle up 5k, 10k, 20k etc? Or you think people don’t have better stuff doing with their money than watching a bunch of musicians perform? Things got emotional ASF yoooo – people were crying. That’s how deep it was. 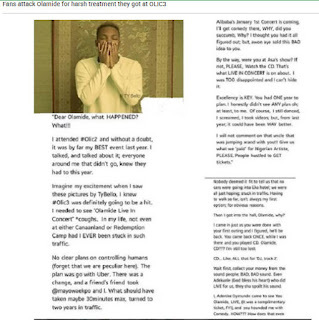 This isn’t for Olamide alone. All artistes need to get their act together and learn to treat your fans with more respect and love, because without us you’re nothing. I’m the wildest Olamide fan, but even if they have 10 OLICs after this, I don’t think I’d want to be there. Because it looks like he’s started doing stuff for the rich lads alone, and we’re sorry we can’t afford the gold, silver and platinum. 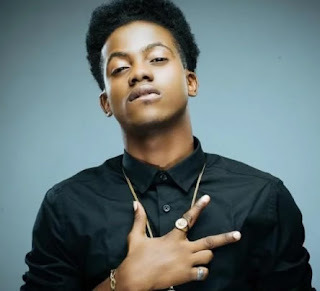 Korede Bello is a Nigerian singer currently signed on to Mavin records headed by Don Jazzy. The 20-year-old Godwin singer has come a long way since his debut track African Princess under the Mavin umbrella. With his trend on Youtube upon the release of his new track Do Like That, Korede is unstoppable. The superstar spent part of the holiday performing for an impressed audience in the city of Abidjan. Right after which he took time out to spend with some of his fans he calls the "bellovers"
The Mavin star who has over two million followers on Instagram, took some of his fans on a visit to the juvenile prison in Abeokuta, Ogun state. During the visit they took pictures which he shared on his social media page. 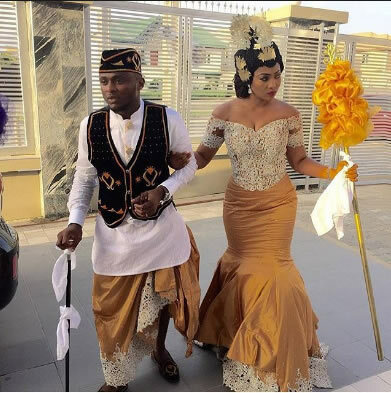 The CEO of Made Men Music Group (MMMG) label Ubi Franklin has had an eventful year in 2016 in his marital life. 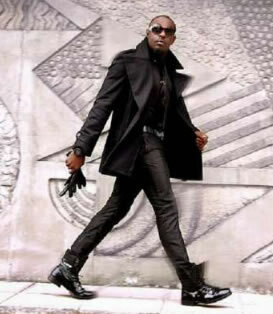 He welcomes his first child in July and months after the arrival of his son, his wife Lilian Esoro allegedly left him. Since his troubled marriage, the MMM executive has kept mum about his relationship with his wife only dropping hints about it. 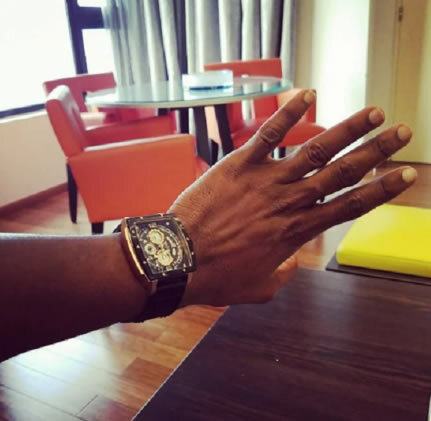 On Wednesday, December 28, Franklin posted a photo of his wrist showing off a watch ace comedian Ali Baba gave him. But like he had been doing before now, his fourth finger was without his wedding band, a confirmation that his marriage to his Nollywood actress wife is over. Kiss Daniel Singer robbed in Calabar The singer's live performance took a drastic turn when robbers interrupted his set in Cross River and sent his fans scampering for safety. 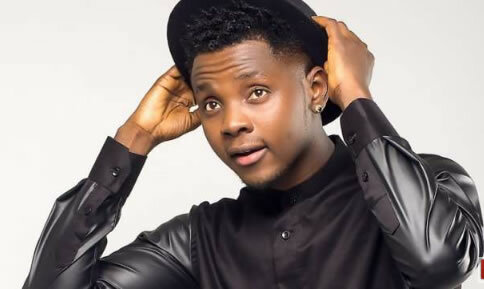 Nigerian singer Kiss Daniel has been robbed at the Calabar Christmas Village, reports say. 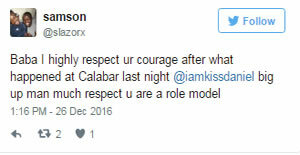 The ‘Mama’ crooner was on stage performing when armed robbers charged into the venue in Cross River state around 1AM on Monday, December 27, 2016, Pulse Metro reports. According to the newspaper, an eyewitness disclosed that the thieves took some items from the singer before security agents hurriedly took him to safety. It was also reported that gunshots were allegedly fired in the air and valuables were taken from those present. Several people were injured in the incident. Meanwhile Punch also reports that state Commissioner of Police, Mr. Jimoh Ozi-Obeh, says it was not a robbery attack, but rather a misunderstanding between the organisers. Ozi-Obeh said the event venue was changed without information being shared the security operatives of the state. 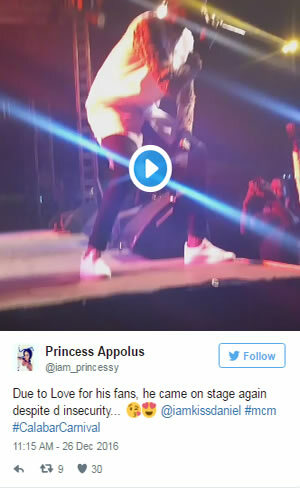 In the meantime, fans took to Twitter to commend Kiss Daniel’s bravery during the pandemonium as he returned to the stage once things had settled. 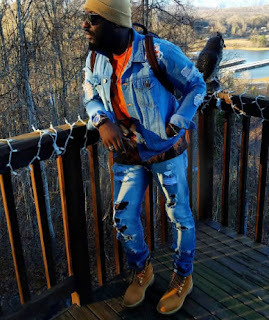 Jim Iyke 'I have no love for any woman' actor writes God The actor who has since settled into a very quiet life in Atlanta says he has no love for any woman. 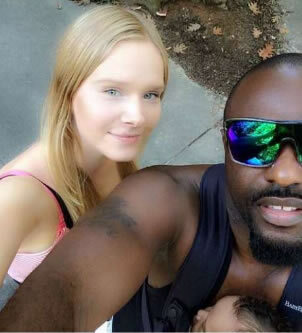 Nollywood actor Jim Iyke wants a baby girl do bad he's asking God for one publicly. The actor who has since settled into a very quiet life in Atlanta with his Lithuania girlfriend, Dana Kinduryte says he has no love for any woman. I decided to quickly submit this petition before the year runs out. I'll keep it short n straight. The last time we had this convo, King Harv showed up. My life has nv been the same since. It's being an amazing cocktail of unprecedented blessings, self realization, bold endeavors and forging of powerful alliances. Nw to the matter at hand. My sister says I'm a career cynic. My Ghanaian ex says my head is too strong for love. My Nigerian and past exes says I'm amazing but GLADYS took the last iota of love I hv for any woman with her. My longest friend ,UK, seems to agree and my longest biz partner has wisely said he's unsure where to stand in the matter! Smdh! I want a baby girl LORD. A daughter that will keep me on her permanent MUMU BUTTON since nobody else can. I've done this bf when King Harv came and turned even the hardest skeptics to awe struck as I took fatherhood to the letter as naturally as fish in water. Pls give me a daughter this time Lord. You know I'm one that never never bring my private affairs to the public but I want this act of vulnerability to be my most ardent test of faith. I'll be the father fathers dream of. I'll pour my body, soul and spirit into raising her. Besides, King needs a sister to protect and love. Ok I can already feel you shaking your head in exasperation. But I also glean a little smile beginning. You know how your boy roll! Lol. I'll keep my part of the bargain by doing that 'THING' I pledged wholeheartedly. Ok let me get out of your space. I know you have more pressing requests to attend to. You've been too good to me this year to ask for anything else..... For now LOL! Visit anyone in need at the point of their station IJN. PS: ( ANGEL IN CHARGE) I moved my file from the middle to the top of the stack when the LORD asks for it. A little addendum if you pls; I want her to look like SHADE ADU in her teens with the brains of MICHELLE OBAMA. Right! I don't like the look on your face now. I guess I'm pushing my luck yeah?! OK done! I'm out! Happy Boxing Day Everyone! Enjoy!" 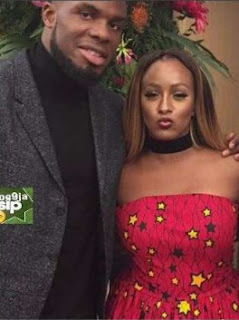 DJ Cuppy DJ finally opens up on relationship with Victor Anichebe Billionaire daughter talks openly for the first time about her boyfriend, footballer Victor Anichebe. Billionaire daughter, Florence Otedola aka DJ Cuppy has finally opened up on her love life. The star was a guest on Rubbing Minds with Ebuka Obi-Uchendu where she talked openly for the first time about her boyfriend, footballer Victor Anichebe. "He is good. We are good. He is very busy. Its sad we don't get to spend Christmas together". On how they met, she said "It was actually a setup. I was complaining of how I was going to be single forever to a stylist that I work with and she was like Oh, my other client also complains of how he would be single forever. I was in New York at that time and she said I think you guys should just go for a coffee. I happened to be in London and he happened to be in London and we went for coffee and the rest is history." Melissa Benoist is putting an end to her marriage. 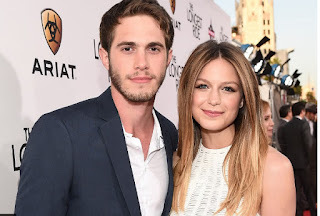 TMZ reports that the Supergirl star has filed for divorce from husband Blake Jenner after four years of marriage. According to court documents obtained by the publication, Melissa cited "irreconcilable differences" for the split and doesn't want either party to give spousal support. The couple has no children together. 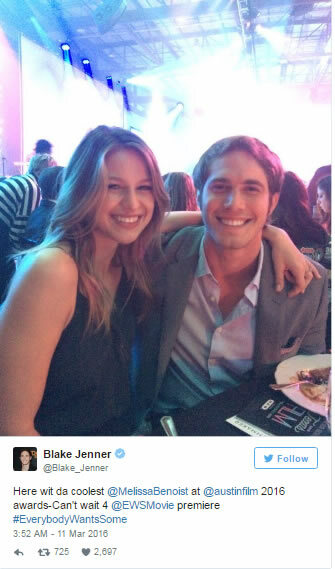 During their relationship, the couple appeared on two episodes of Supergirl together. At the time, Melissa gushed about working alongside her husband." We only have fun working together," she told People. "He's my person to act with. He's my favorite scene partner, always. "The couple was also able to share the small screen together on several episodes of the Fox series Glee where they first met. "We clicked on his first day, during a ‘Born to Hand Jive' dance rehearsal," Melissa confessed to Teen Vogue. "I love talking about it. Blake is amazing! The chemistry you see with Marley and Ryder is not acting." Back in September, the couple was all smiles as they traveled to the 2016 Toronto International Film Festival to support Blake's latest project The Edge of Seventeen. And while the couple tried their best to keep their relationship private, both parties occasionally posted photos of each other on social media. "Here wit da coolest @MelissaBenoist at @austinfilm 2016 awards-Can't wait 4 @EWSMovie premiere," Blake shared on Twitter earlier this year. "#EverybodyWantsSome"